Going on a primitive camping adventure is exciting but modern campers don’t like the idea of getting down and dirty every time they are out on a trip. An old-fashioned camping with some basic survival gear is still fun sometimes. But, there are hundreds of cool camping gear and you will have a really good time exploring them. They will make your outdoor life a little more comforting and easier. We’ve made a list of the best camping gadgets and tools that you can give a try during your next trip. 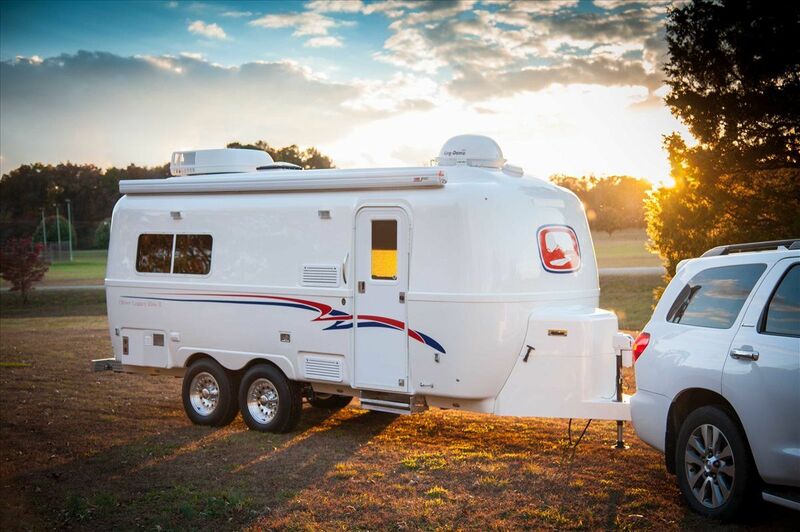 For many adults, exploring the camping gadgets is sometimes more enjoyable than the trip itself. Check this list of some of the best camping gadgets and tools that have the potential to become even more popular in 2018. 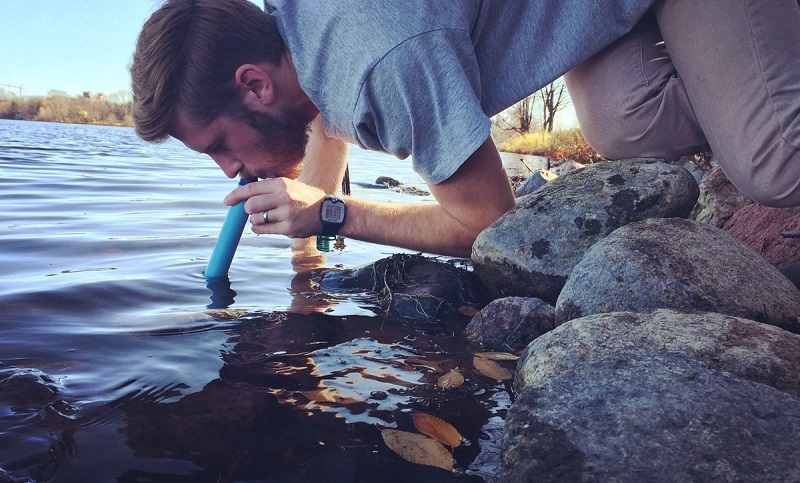 LifeStraw is an innovative water filter device that is simply a blessing for numerous backpackers, hikers, and campers. The straw-like filter can purify 1,000 liters of water, which is enough to keep a person hydrated for a year! 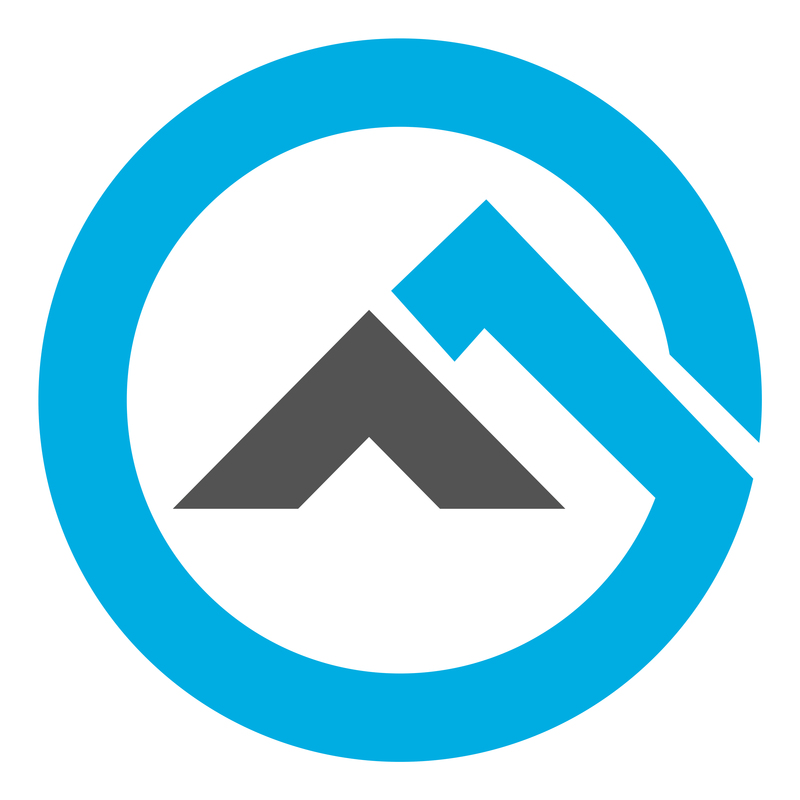 You don’t have to carry any extra water or a large filtration system. This small filter will remove more than 99% of waterborne parasites and turn contaminated water safe for drinking. 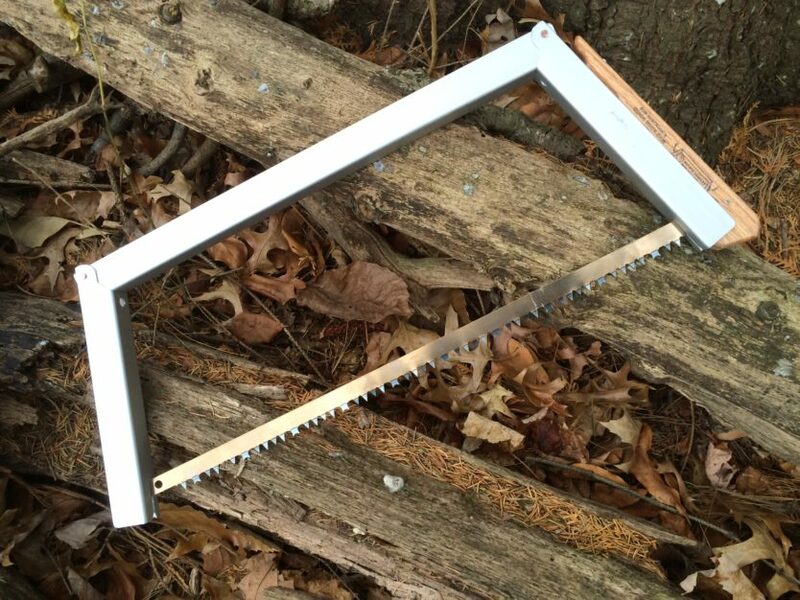 It’s a lifesaver when you need to cut large quantities of deadwood for a campfire. Folded into a 25-inch package and weighing less than a pound, you can keep it in your backpack and forget unless it is needed. Assembling is quite easy as there’s a pictorial diagram etched into the handle, and the blade is replaceable. People are now more eco-conscious than ever and travelers these days try to keep their carbon footprint to the minimum when then visit a new place. So, it’s not surprising that another solar-powered gadget makes in our list. It needs 7 hours of direct sunlight for a full charge and runs for up to 12 hours on a single charge. 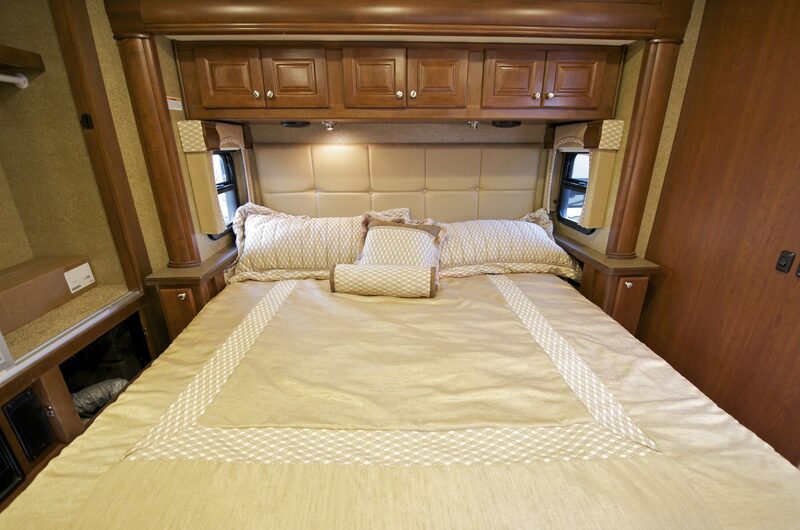 There are four lighting modes and you can keep it folded when not in use. Nobody wants to carry a set of bulky cookware. So, MalloMe brings a compact and lightweight mess kit for convenient, safe eating. The 10-piece set nicely packs up into a bundle and it includes everything that one or two people need to cook and enjoy a complete meal. It will create a smokeless fire by burning wood and can boil a liter of water within 5 minutes. 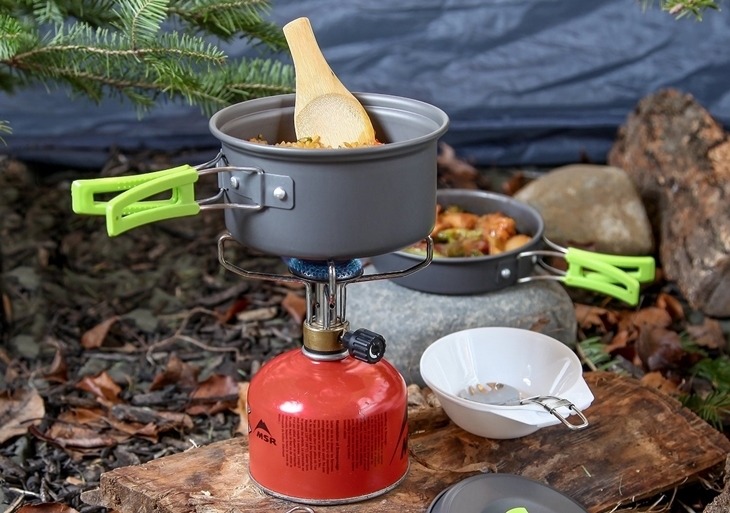 The stove is super portable as it is not bigger than a 2-liter water bottle and weighs only 2 pounds. A truly unique feature is the built-in 2600mAh battery, which means that you can turn fire into electrical energy. 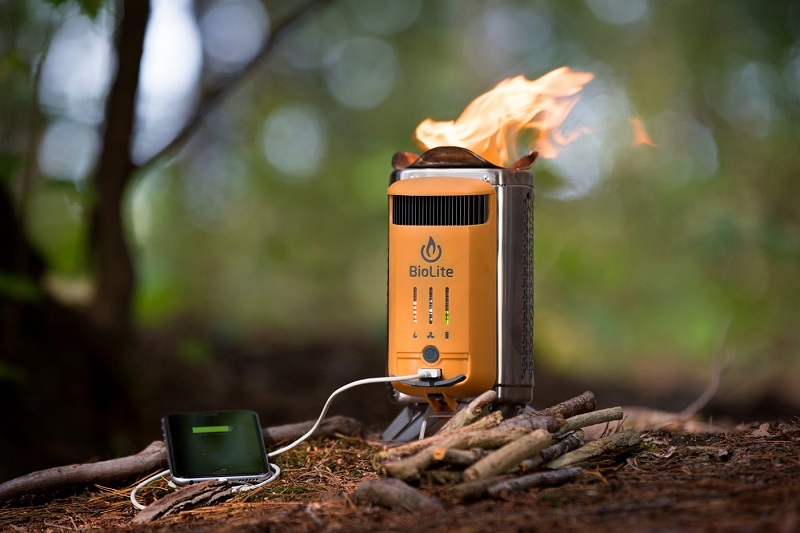 Charge your smartphone 20 minutes with a strong fire and you can talk at least an hour! 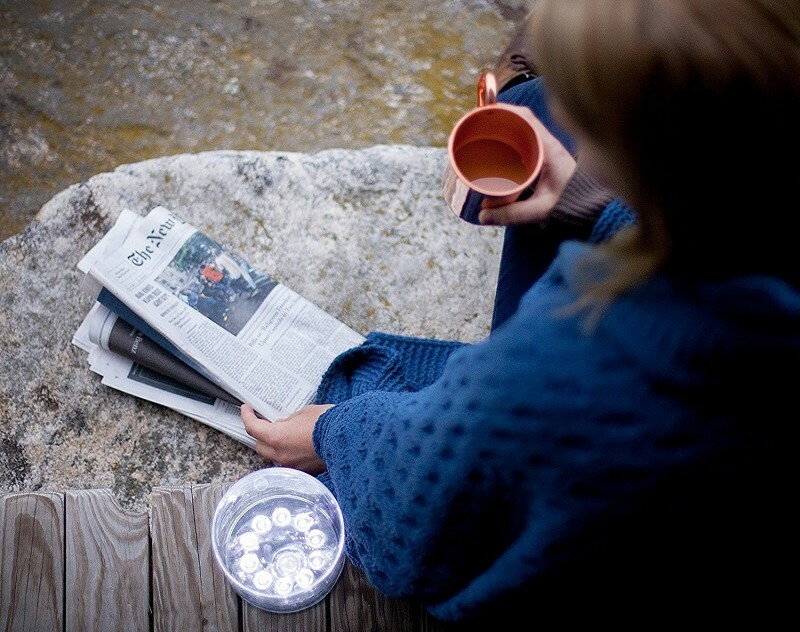 It’s another impressive item on this list of best camping gadgets and tools. With a truly ingenious design, this table is not only suitable for having dinner but also for playing games and holding your drinks. It is super transportable since you can fold it into a small carrying bag. 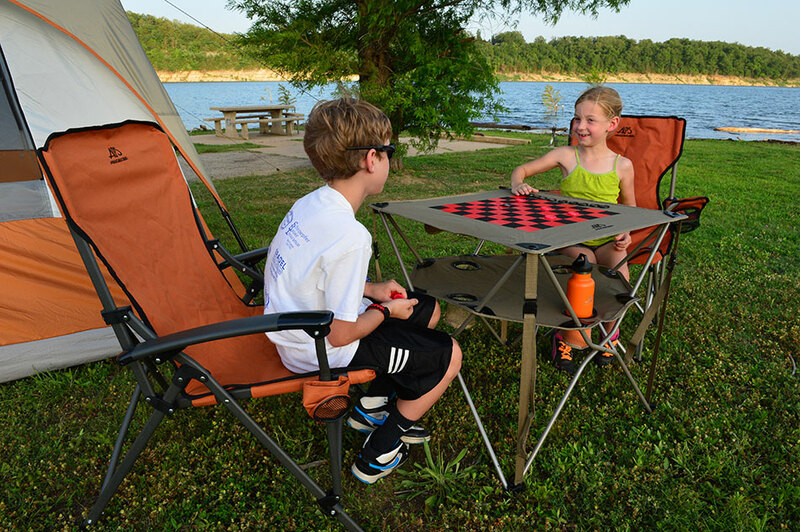 The table top has a checkerboard imprinted so you can play games when you are bored. There’s another level underneath that has four built-in beverage holders, eliminating the fear of the drinks getting tipped over and spilled. We’ve already listed a solar light. But, what will you do if it’s raining heavily? 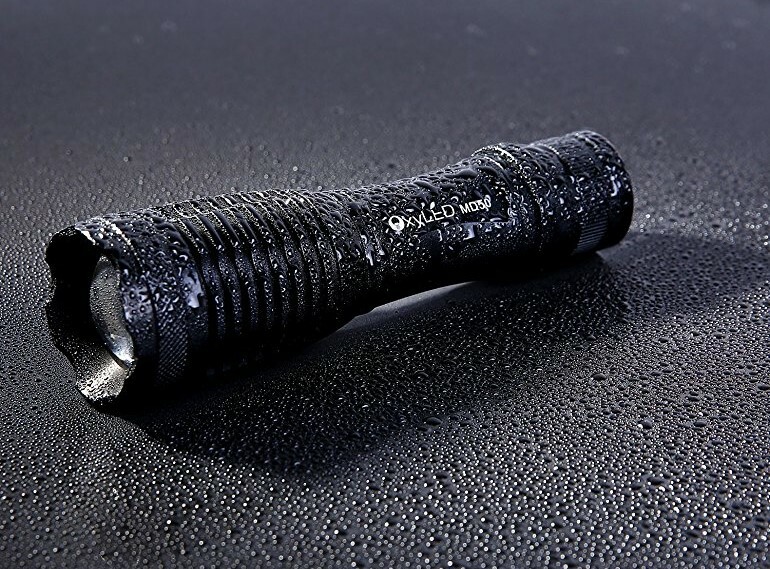 The OxyLED T6 Flashlight is made of aircraft-grade aluminum alloy with an anti-abrasive glaze. It is water-resistant and works in heavy rain too! Running on a lithium-ion battery, it recharges pretty quickly and provides long hours of brightness in five different modes. Some people can’t function in the morning without having a cup of coffee. If you are one of them, this little coffee machine is the first thing you should purchase for your next camping. 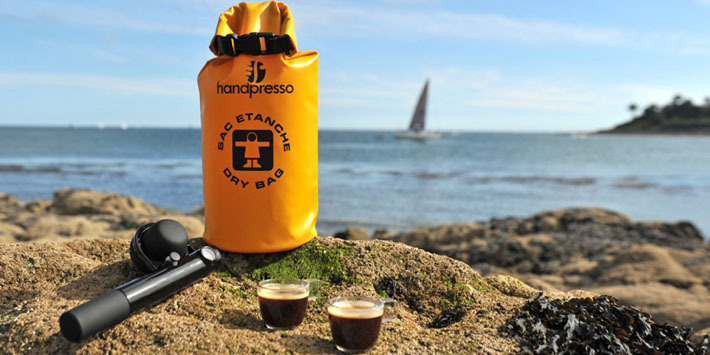 It is a hand-pressed portable pump that requires fresh coffee pods, some hot water, and a bit pumping action to produce freshly brewed coffee. The price is a bit higher as the smaller one is less than hundred dollar, but it’s an excellent option for having your daily caffeine dose when you are not at home. Modern people love to stay connected all the time – whether it is via social media, texting, or something else. So, you can’t leave our cellphone, tab, music device, or digital cameras behind. But, these gadgets need to be charged up and there is no electricity in the middle of a forest or on the top of a mountain. 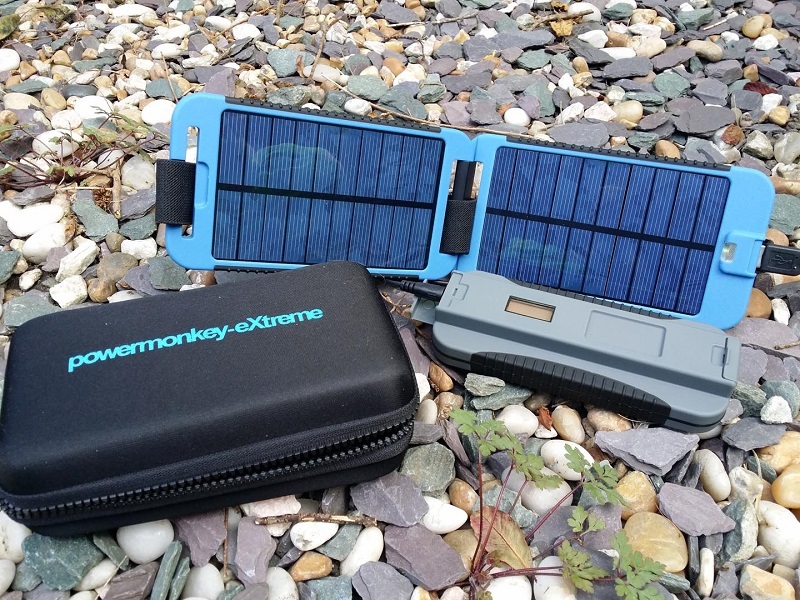 The Powermonkey is an extremely handy gadget featuring a 9,000mAh battery. You can charge it through a USB port, a 12V DC port, and solar panels. The more impressive thing is you can plug into your devices when the charger is charging up.